RSVP Screening of Period.End of Sentence. Monday, April 29, 7:00 PM at TBA. 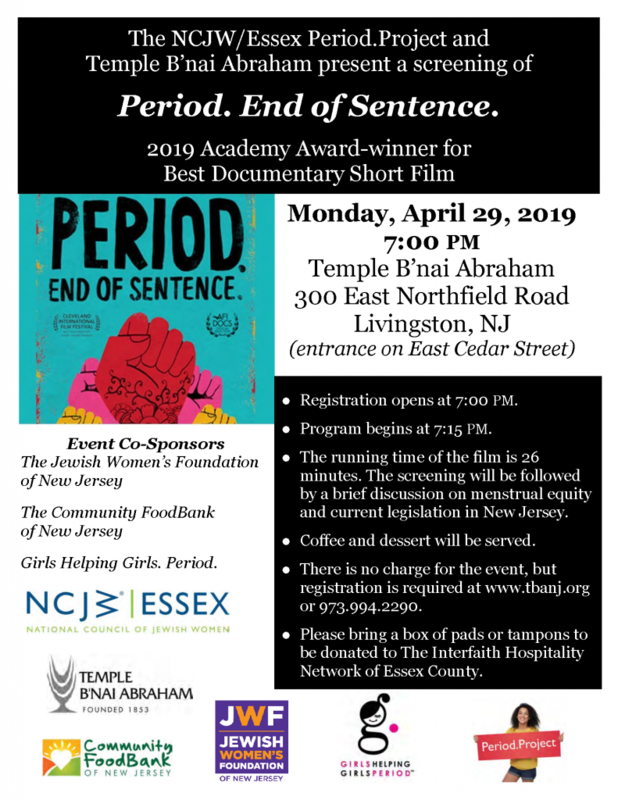 The NCJW/Essex Period.Project, TBA Social Action Committee and Sisterhood-The Women's Connection present a screening of Period.End of Sentence., 2019 Academy Award winner for Best Documentary Short Film. No charge for this event, but registration is required.